[Life] Ep 6 Jo Seung Woo x Won Jin Ah x Lee Dong Wook, a sudden triangle love forms? Jo Seung Woo was so cool when he shouted.. Anyway, I think the medical device that Moon So Ri saw was bought by Jo Seung Woo. This clearly shows the ugly reality of doctors thinking that they are high and mighty. I can totally understand what Jo Seung Woo is saying. People who have gone to a University Hospital would know. The Professors just do whatever they want. They don't see patients as patients, but as low class people. Their attitude has to change. Like what Goo Seung Hyo says, they're just people who get paid for their work. A very well-made drama. It's almost like the scriptwriter used to work in the medical world. She did Stranger too, she's a talented scriptwriter. I like hearing Jo Seung Woo's voice. The character Moon Seo Ri is the most worst. She was making so much noise about being reasonable and having conscience, but she doesn't sound reasonable or conscientious at all. Not sure why she is so confident. It's true that the doctors in SK are all that way. Don't take your oaths. You doctors who don't know anything else other than money. A love line all of a sudden. 1. [+564, -4] Cho Seung Woo-nim you can trust to watch. 5. [+101, -8] If Cho Seung Woo comes out then I watch, done. 1. [+730, -6] Cho Seung Woo isn't good or bad, he's just reality itself. 4. [+173, -2] If it was scheduled to air at 10PM then its ratings and popularity would've been higher ㅠㅠㅠ It's perfect except for it airing late at night, it's a drama you look more and more forward to!! 5. [+102, -1] The subject they handle is a bit scary but I think they made the topics that are completely possible of occurring in our lives into a drama. I'm having quite a fun time watching it. have you ever come across any "Greek God" like doctors in your workplace? Not quite. In school days was one, but retired and turned into a business man. For a woman is hard even in medical field, especially in fields involving surgery, men have the habit of minimizing their recognition, advancing into a driving position is hard to get. My feelings regarding her... personal problems/drug (hospital meds) addiction ? This problem still exist.. unfortunately...even suicide or attempted suicide with meds from workplace. I caught up with ep 6 today and there is not one boring moment in this series. Every single character is layered and well written. I am especially intrigued by Ye Sun Woo because so little has been said about him. Did he study to be a doctor and then join the government/insurance ofc? I am confused regarding his profession. Thrilled to see him in next week's preview. I love the stark difference Mama Ye and her two sons. Her sons seem to carry so much guilt and sadness. I am sure Mama Ye has suffered too and smiling n joking is her way of dealing with sorrow. The standoff between President Gu and chief OSH is fresh in memory. Chief OSH comes from a privileged background (am I right: her mother funded one of the facilities in the hospital?) and she kept saying peddling medicine to patients makes her feel ashamed. I now understand a bit better what Dr LNE meant about clannism and ego issues between new and old doctors. Can't wait to see President, Dr Ye, Dr, Yoo and Dr Lee get on the same side. Preferably take down the Hwajeong grp chairman!! What a crooked man that guy is! Another favorite moment was the President's meet with the health minister's parents. Such a poignant story about having to part with something so precious just because their son might be seen in bad light. Their son being ashamed about his father and grandfather being Seosan pioneers. My only negative about the series is the use of dramatic background music in certain scenes. I wish they had reconsidered it. It is of course a minor complaint and doesn't spoil my enjoyment of this show. @bedifferent I finally caught up with the first two episodes & was very surprised by how engaging it was. I am not a big fan of corporate politics especially hospital related ones but it’s the way that the story is told that ensures that I don’t tune out. It helped that they started off with a murder mystery ( haha my Secret Forest feels came back for a moment) . So did the Director really die from natural causes ? Though they say it was a heart attack, did someone push him ? It seems YJW has great love & respect for his mentor , so why did this man embezzle Hospital funds? A lot of secrets to be uncovered here. They got the casting right - I can already sense the dynamics between President Goo , Dr YJW and and Dr JKM. It will be a very interesting battle of wits between them - Can the doctors save the departments from being transferred or not especially against a management that prioritises cutting loses over saving lives ? I also found it really interesting that Dr Ye often sees his brother as a voice of conscience. I Am curious to know why that’s the case . Is YJW guilty of something? Is the brother’s condition caused by YJW? Is this a mental condition? It’s clear to me that the brothers are close. Love that casted Lee Kyu Hyung here. 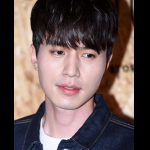 And Lee Dong Wook plays this tortured soul perfectly. President Goo is conniving and very slick . I can see why he is so successful at such a young age. He engineered the whole transfer of the loss making departments to make it look like they were serving the rural areas . He subtly blackmailed the Deputy President into agreeing by saying that he could be implicated for the directors death . He turned the tables on the doctors & Nurses at the meeting by questioning their convictions about really serving the underserved . JSW is a delight to watch - what a complete departure from his previous role ! 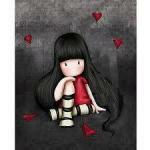 Have lots on mind but no time to post... be back later. Episode 6 is the turning point for me usually when gauging a drama, it is on for me. This drama is well written and I am hooked. @triplem @staygold love your posts, thanks for stopping by. It's Secret Forest once again for us. @Dhakra don't know if you have started, JSW and his mind... you'll like it. You know... Games of Thrones, Whisper... that kind of plotting. @staygold The writing was so amazing for the Seosan scene and Dr. Joo's mortality conference speech. The last writer that I saw doing this kind of social commentary was Park Kyung-Soo. I find the Ye brothers relationship walled in by guilt from both sides. It's hard to watch these two grown men not able to have an independent life apart from each other. For better or worse, Jin-Woo takes upon himself to be his brother's caretaker. We see Sun-Woo more than able to move around the apartment on his own. He has a job, not only be highly functional and mobile, but also able to deal with his physical handicap quite well. When he is around Jin-woo, you can see he appreciates the help but feels slightly suffocated by his brother's thoughtfulness. He can shut his own door, thank you very much. I feel bad for Jin-Woo having to imagine a beta cool intelligent version of Sun-woo for guidance and comfort. At one point, I was actually fine with Jin-Woo getting transferred to a rural area so that he can break the guilt to live his life. This whatever puppy love toward No-Eul shows how much Jin-Woo steps back for his brother. I do love the fact that it was Sun-Woo who broke the news of the misdirected fund for Jin-Woo. They have each other's back even if they can't genuinely and openly show their love. What do you think? Did Episode 6 reveal that Sun-Woo could be working with Joo Kyung-mun to possibly uncover insurance fraud? Sun-Woo works for the Health Insurance Review Agency (HIRA). He reviews all claims and process reimbursements to hospitals/clinics that provided these services to the patients. I also looked into how this whole process works. Let's see... really simplified. Everyone in SK pays a premium via work to be insured under a National Health Insurance Program (there's no private insurance). As pts, they will have a predetermined copay whenever they visit a healthcare provider. The premium that they pay through work is a shared 50:50 between the patient and his/her employer. This premium is 1/3 of the fund going into the National Health Insurance Program. Government subsidies and tobacco taxes make up the other 2/3 of the fund. This is the pot that pays the hospitals, doctors, healthcare services that the patients use. Every worker is insured and their needs are taken care of. Beside this national insurance program for the employed, there's also a Medical Aid program that helps fund the lower income households, those with chronic debilitating diseases and esp children. There (unemployed) citizens do not/cannot afford to join the National Health Insurance Program. The local and national government share the responsibilities in funding this Medical Aid Program. Lately, the program has run out of money so the government has been using money from the National Health Insurance Program to partially support it. (Here is the core of the dispute among taxpayers and voters. Why is the government using their money to pay for someone else's care?) There are several more insurance programs for other populations but so far, the drama has been talking about just these two. Everyone is asking for some sort of insurance reform, drama has good timing here. Chief Oh's mother donated money to build the speech therapy center to the university hospital. How much did this influence her career? Did she rise to the position on her own merit? It's truly rare to see a female MD in this specialty, the reality is those who are there have to play the politics well to be accepted. Times are slowly changing but not fast enough. I was hoping she became Chief based on her abilities. Car scene with Dr.Joo, Lee and Ye was one of my favorites. No-Eul claiming that they are not different than President Goo since they also look at numbers in payments when dealing with patients. That's true! She also said the president can be one to cast the stone since he didn't err on the patients. Yup, I agree. There's reality setting in as the doctors realize that if they stop him, the status quo will remain so. They don't trust the president and they don't have a choice. Things have to change. On a lighter note, how Dr.Joo settled the sis-sis/bro-bro arguments is a brilliant way to compliment a pretty lady. @triplem it gets better, keep watching. Don't want to spoil for you so replying lightly here. Things are not what they appear. Jin-Woo initially feels betrayed by his mentor. The death forces him to do something, anything, to save himself and possibly clear LBH's name. He's starting to wake up. Yes, president Goo's mind is pretty twisted. He's manipulating the health insurance scene so that all roads and money flow back to the company. This diagram tells all. Go back to it once you have finished episode 6. I understand why the role was offered to JSW. Mr Goo is a character that straddles evil and good. It's to the drama's benefits that JSW just came off playing a righteous prosecutor in SF. My mind believes that he does have a good side to him. Call me crazy, I still see him as ShiMok. Dr Joo knows a lot more than most people in the hospital. I won't be surprised if he has teamed up with Sun woo to check on the fund transfers in late director's account. I have great respect for Dr Joo's character because he stays on in the system knowing it is flawed. He walks into the OT knowing his chances of success are low. There is so much dedication. His juniors are angry at him. His nurses are asking ER not to send him patients. Dr Ye seems to be the sort of person who wants to take on burdens of the others. He n Sun woo are discussing how fiercely they protected their single mother from her potential suitors. I think somewhere Sun Woo realized how stifling this over protectiveness can get. Dr Ye hasn't come to terms with this yet. He is still there picking dropped remotes for his brother. He is still there protecting (according to him) Dr LNE at the animal center! Dr Ye I feel has self imposed restrictions on his life. I was so sad to see how much he is conflicted when he meets the pretty newsreader/journalist! The first thing he sees is his brother confirming his thoughts! 'Isnt she pretty!' Dr Ye needs to overcome so many conflicts! Yes, president Goo's mind is pretty twisted. I actually don't see much of Han Shimok in President Goo. President's mind is well trained in reading the situation and bringing in solutions. I am particularly taken aback when he introduced the RFID system and when he asked the right questions at the mortality conf. Like I said earlier I believe his heart is in the right place. He just needs some more time to see what a hospital is. Also, I am thankful to the writer that she gave enough opportunity to JSW to keep flashing his precious smile!!! @bedifferent That info abt SK's insurance program helps me get a clearer picture. Thanks for sharing! @annagriss8 Seeing JSW joke around in BTS makes me feel how confident he is in his craft. There is no tension at all!! I like this actor . Especially after SF. That part where he fell asleep in the OT speaks volumes of his dedication. In the file where Goo was checking his background, it seems he is here temporarily. What’s the significance of that information? @bedifferent Thanks for the information . Is it possible for a hospital to operate without an ER? How can they close an entire department ? Every hospital in my country has one . I understood that the Sangook hospital hires most of its staff( more importantly the department chiefs) from their university itself. Dr Joo came from a small town and smaller hospital. So in some sense he is always an outsider. Someone who rose to the position on the sole basis of his talent n skills and not hospital politics. Here is Dr Joo taking a break from his work! A surprising decision by Seung-hyo turns the tables and brings the planned strike to a halt, leaving everyone in "Life"wondering where to go from here, right before they find another obstacle in their way. What has begun as looking like an outrage-du-jour plot waiting for us gets a welcome injection of intrigue, as Seon-woo seems to have a lot more weighing on his shoulders than he lets on, opening a whole new can of works for the drama's mysteries. Seung-hyo (Cho Seung-woo) has been an entertaining character to discover, and this is largely due to the writing's lack of the usually unadulterated idealism we see in other such stories. Seung-hyo is no villain, but he is also not some misunderstood unicorn just waiting to be appreciated in order to stop being a big meanie. He is a businessman who gives you one thing and takes back five, and no number of cute children will change that overnight. 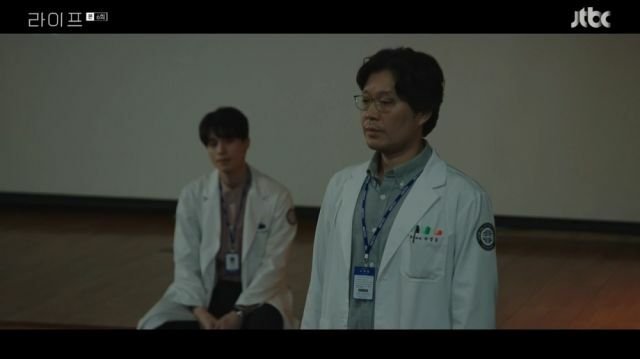 His next big plan for the hospital comes at a time when a new chapter opens for its inner workings, with the hastily forgotten death of Bo-hoon (Chun Ho-jin) making a comeback to remind us that someone needs to take his place, and how important that position is. This is where we start to see everyone's true colors. Se-hwa (Moon So-ri) and Tae-sang's (Moon Sung-keun) ambition is clear, but I wonder if Kyeong-moon (Yoo Jae-myung) will give it a go. I also wonder if we will finally address the elephant in the room that is the Director's death. "Life" would become very boring, very quickly if not for a main conflict, especially with Seung-hyo's role being more of an antagonist, rather than a villain. We would be left with a constant one-upping between him and the staff, with no main goal to speak of. If Hwajeong Group's involvement and the Director's death have more to them than meets the eye, this story has a focus. Which brings me to my opener about Seon-woo (Lee Kyu-hyung) and his role here. We are starting to see the writer's plans for him that I previously mentioned take form. The question is, what are they? Has he been working with someone, perhaps Kyeong-moon, to investigate the death, or possibly provide ammunition against Hwajeong? Nurse Kim Eun-ha (Lee Sang-hee) has also shown suspicious behavior, so maybe we have a group doing things in secret. If they are, then I wonder if Jin-woo (Lee Dong-wook) will eventually join them. At this point, my assumption that he may simply be an observer of the real protagonists feels very likely, and is perhaps for the better. I just hope that the story has a clear trajectory for him that will not designate him to forced romance unrelated to the main conflicts, something the end of episode six gives me more concrete reasons to worry about. "Life" is directed by Hong Jong-chan and Lim Hyeon-wook , written by Lee Soo-yeon-I, and features Lee Dong-wook, Cho Seung-woo, Won Jin-ah and Yoo Jae-myung. 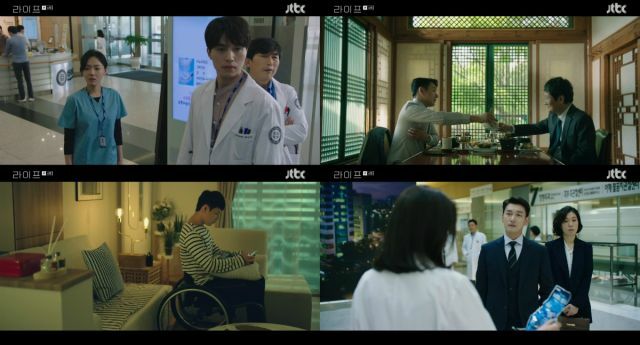 I love the contrast between Wookie’s expression in bts pics and when he acts as Ye Jin Woo ❤️ Shows what a great actor he is ❤️ Can’t wait to see how his character will unfold as the story goes on ❤️ YJW seems to be the quiet and reserved observer right now, but because of the issues arising within the hospital, he’ll slowly start to change and (hopefully) start to actively fight for the hospital and save the day ❤️❤️ Love the realistic approach to his character btw! He’s not the typical active main-stream hero right from the start. No-one’s born thinking like a hero after all. Yes, Dr. Ye , Dr. Joo and Dr. Lee will have different opinions in some situation. Can't wait to find out what kind of situation it will be. Official MV for OST 2, Ye Jin-Woo's song. I love how Dr. Joo turns Dr. Ye's badge around at the beginning of the MV. Conviction, courage, truth. All starts with believing and knowing who you are. @staygold Jin-Woo settled for being the cog in the wheel at work with his mind on saving the patients the best as he can. Maybe it is his personality like you said. It's what he is good at and study years for, he sees this as his burden for not having suffered the injuries his brother and father did. Many doctors are like this. They are not ambitious or calculative enough to turn the blind eyes toward patients to advance their careers. Some physicians retire in the same hospital that they started as residents. They understand the extraordinary in their seemingly ordinary careers. Jin-woo already is curious. He looked at the hospital book to see how things work with board members. Hospital president has to approve the elected director's post while the director can oust the president from his job. This check and balance system is not perfect and can be exploited, which we found out later when Dr. Kim and President Goo decided to join forces. @triplem I don't think the true intention of president Goo was to close the departments. He used this strategy to peg down his opponents and turn public opinions against the hospital. He knows fully that physicians will oppose the transfer; voicing even threatening to strike makes them look bad since their reasons are not beyond personal and financial. It's a brilliant move because of the sheer improbability it will happen. I see it as a temporary strategy to buy him time while he is learning to cut cost in other ways. Know what eventually set all president Goo's plans into actions: the resident's medication error! That was his winning hand. Remember how he turned the table on them in the auditorium? Many hospitals can choose have trauma center closed (closing the ER would face lots of opposition). In the US, we cannot turn away and have to treat every patient irregardless of their insurance/financial status. Trauma centers need a lot of support in terms of money, staffing. It's tougher for university hospitals since they are training sites for residents. They would have to close the ER rotations. No training, less ER doctors will just compound the problems more down the line. Less and less primary care physicians. There need to be incentives for physicians to have interests in the field so they can continue caring for us. They're only human. A lot of viewers are disappointed that the physicians forgot their Hippocratic oath. It's not simple as it looks if we see how the national insurance program works in SK. The reimbursement is higher than the Medical Aid program. Thus why physicians prefer bigger cities, larger hospitals, as opposed to public smaller rural hospitals where patients are often from lower income groups. President Goo has already proposed the pay-per-performance tier where physicians are encouraged to use the more expensive treatments/drugs to get higher reimbursements. Conflicts of interests bound to happen. Physicians dedicated their time, training, money in exchange for a career that will reward them emotionally and financially are caught in the middle. You can't take the money part away and expect job satisfaction to fill their happiness bank or help them pay back the $$ student loans. We have to find a way to even out the reimbursements so that it is not a handicap for physicians to practice in rural areas. This also need to happen to balance out physicians count in the country because it's too crowded in Seoul like No-Eul said. BTW, @staygold the RFID didn't come from the goodness of his heart. Was a calculated move on Seung-Hyo's part really... The fatal medication error happened because the resident did not have a safety check process in place (no one to double check him). Usually when that happened, the physicians are required to study the error (mortality conference) and seek solutions to prevent more errors of the same kind in the future. Seung-Hyo understood this so successfully planted his own solution and trojan horse into the situation. Yes, on the surface, it looks like he is revolutionary and a savior for coming up with RFID, to help patients. In reality, he found a way to successfully use his hospital to fund his own drug company subsidiary. The nurses started to place their trust in this device while becoming attached to its safety promise. They realized later that a drug company supplied their RFID in exchange for having an exclusive drug contract with the hospital. One of the RNs admitted that she feels indebted to use the drugs since the RFID helped them. Mr Goo is a business man through and through. President Goo is one character that you can't help but be on guard at all time. Dr. Joo already know this. He is rigged with ulterior motives. .... however, it's JSW so I cannot hate him. Fan servicing for a great actor. Lee Kyu-Hyung & his moments. Geometric galore. I'm sure this is intentional. Filming together on the last day. They both survived. Mommy and I. Absolutely love the actress. Nam Gi-Ae never disappoints. Wonder if Sun-Woo will stir them into actions. He did not let his handicap stop him. What's their excuse? Waiting, waiting, waiting... pure unconditional love. This scene is cute beyond words. Remind me to go pet my dog.